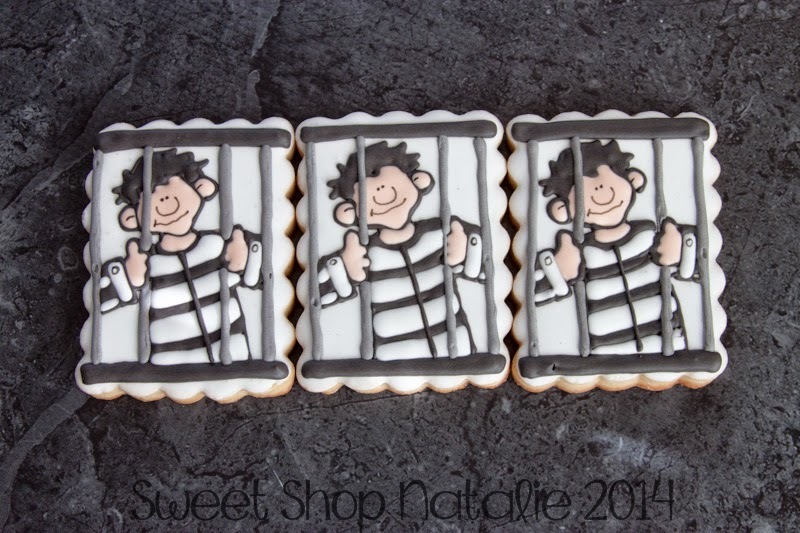 Sweet Shop Natalie: Prison Cookies???? Yes that is what I said! Prison Cookies???? Yes that is what I said! It has been so long since I have done a blog post. 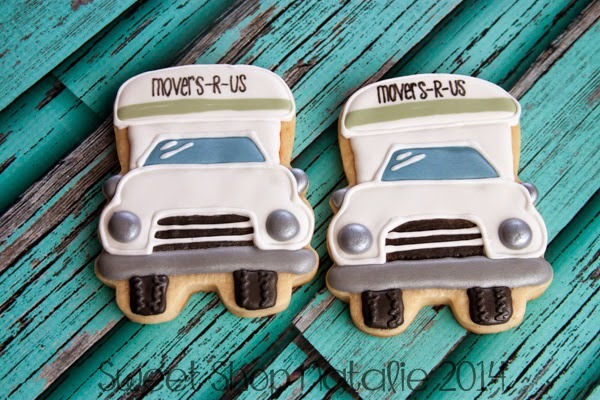 I wanted to share these cookies that when I got the order I was thinking...."really??? you want what??!!" One of my best customers sent me a text saying she was in need of some cookies. Her text said that she had a friend getting out of Jail and wanted to give cookies to them as a joke to make light of the whole situation. I can honestly tell you that this was the most interesting cookie request I have received to date. After I got the request I started thinking of what I could do and I saw some "cute" clip art of a prisoner behind bars and I thought he had to be cookied. 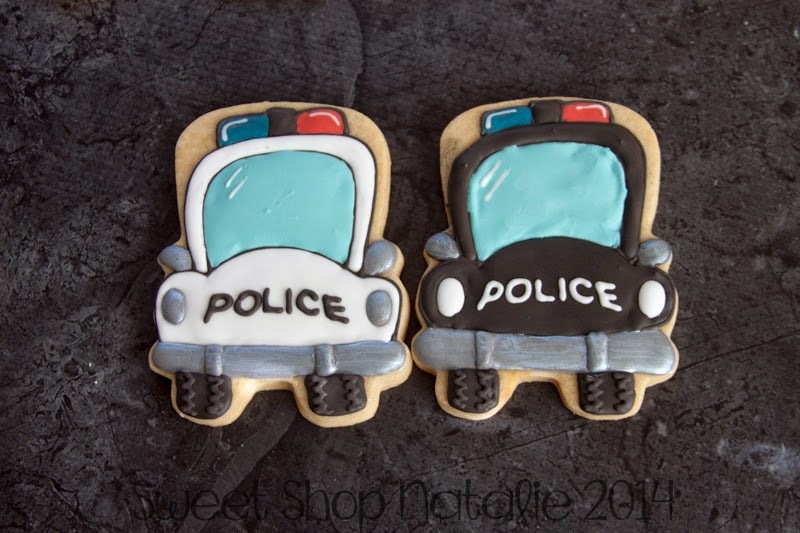 Of course handcuff cookies were in order. 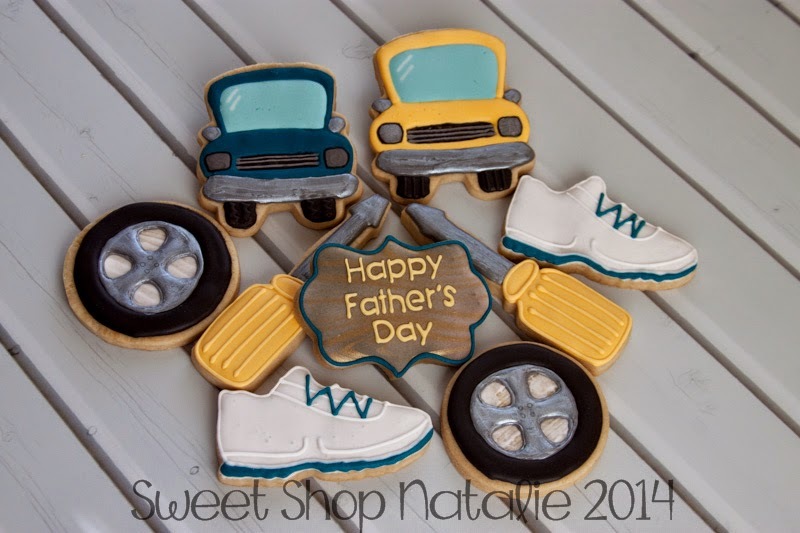 I used this eye Wilton glasses cookie cutter to make them and trimmed the edges and then squeezed the sides down. You can get this cutter in this set here. The first time I used it was as a moving truck. And here are the police cars I did from the cutter. I actually trimmed the top down a bit on these. And these were my favorite. I decided to do some minis to spell Free at Last! It started out as a pretty strange request but ended up being one of my favorite sets! where did you find your car cutter? 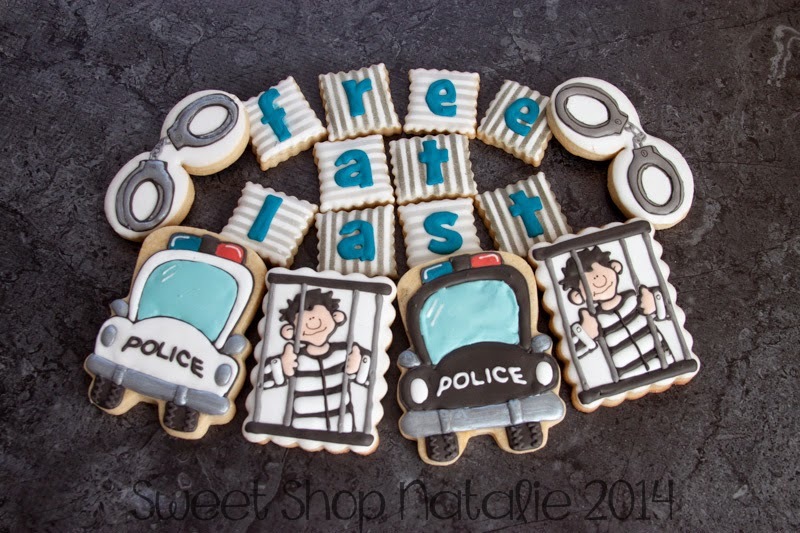 These get out of jail cookies are adorable!